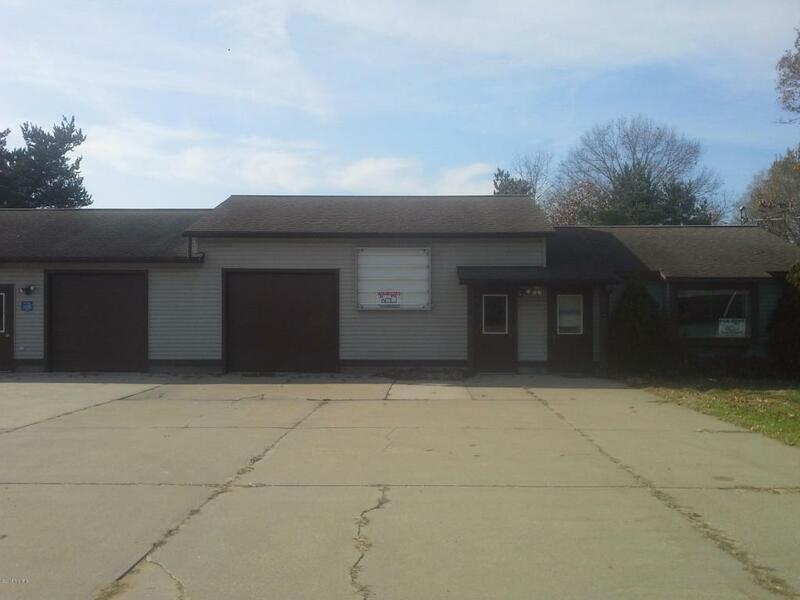 Great location for commercial or retail space. Garage doors can be changed out to glass for beautiful retail space. Property is available for sale and or rent. $750/mo rent for 1 space or $1400/mo for bldg.Two overhead doors 8 Ft H x 8.5 Ft W and 3 separate heating units and two bathrooms.